Swagbucks is the web’s most popular rewards program that gives you free gift cards and cash for the everyday things you already do online. 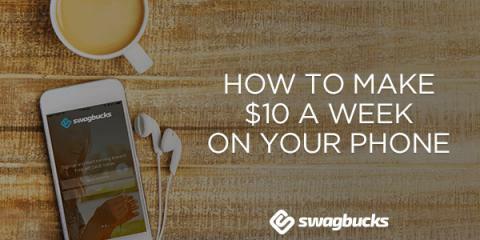 Whenever you shop, watch videos or search the web, Swagbucks gives you points called SB. You can use your SB to redeem gift cards to hundreds of your favorite stores. Quite a few of my presents were purchased using Amazon gift cards I earned using Swagbucks.